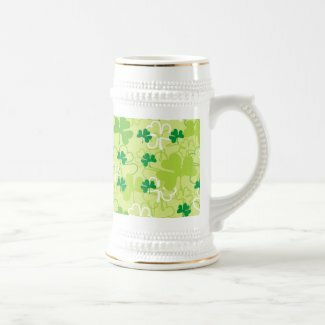 No boring white: Go green on St. Patrick's Day! 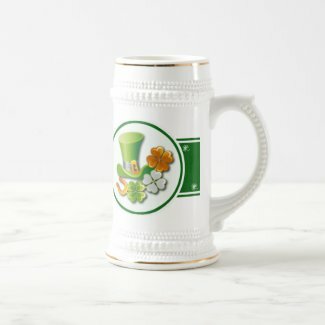 How are you going to celebrate St. Patrick's Day? 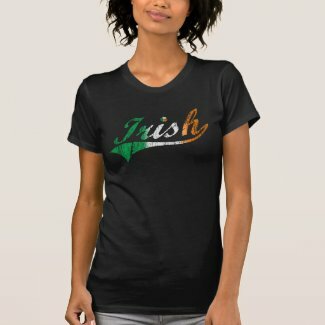 March 17th 2015 is the day Irish celebrate the patron Saint of Ireland, Saint Patrick. He was the one who converted the pagans to Christianity. The celebration has spread to become a worldwide event. Lots of Irish descendants live in America. St. Patrick's Day has become a cultural celebration in America and across the world. 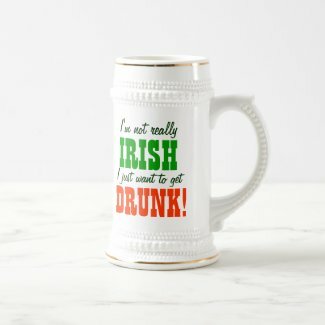 Irish and non-Irish alike join the party! And you? Will you celebrate it? 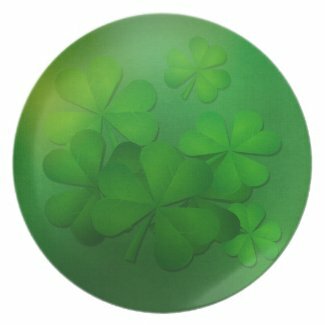 Go muirní cnoic na hÉireann thú. Go mbeannaí a lochanna agus a haibhneacha thú. 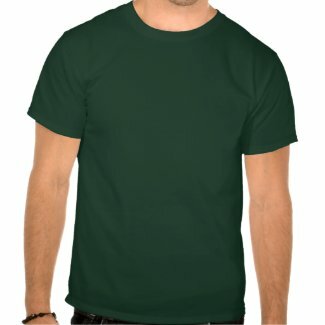 Go dtimpeallaí an ádh Eireannach thú. Is there a special food to prepare on March 17th? Every March I see a lot of Irish St. Patrick recipes on blogs and Pinterest. This time I decided to learn what's the main dish for the occasion. After a search I found an interesting site called European Cuisines. 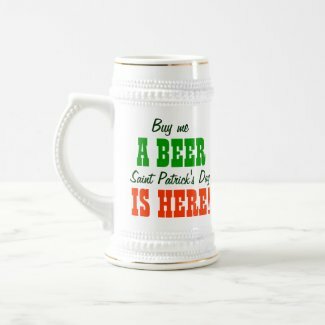 I was surprised to discover that "there's no particular food that's important to Saint Patrick's Day as it's celebrated in Ireland. Over here, the celebration itself is what matters. And it can safely be said that an overwhelming majority of the locals will not be eating corned beef and cabbage. " There's lot of interesting information in this site, like What do Irish people eat. I am not fond of cooking but from time to time I like to try recipes from other countries. It looks like various forms of soda bread are popular throughout Ireland. Bread is a undisputed thing. Never met a person that dislikes bread!Maybe I will try it because it's different from the usual bread I eat. I also enjoyed the Irish Coffee Cake recipe so I am providing the link for you. 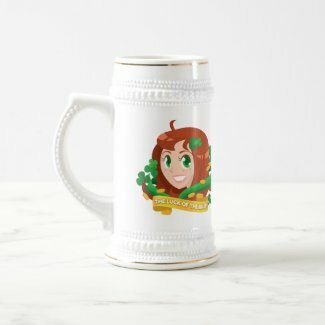 And if you're fond of Irish Coffee I also found the original recipe here! INVITATIONS to get St.Patrick Day's celebration on the move! Forget all about 50 shades of grey. 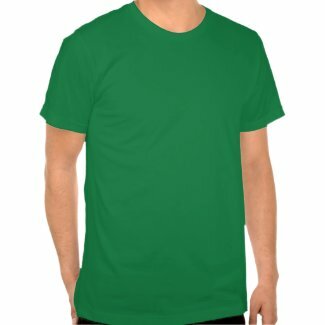 On St.Patrick's Day all persons bear all shades of green! Throwing an Irish-themed party it just means going green. Use decorations like green streamers or green light bulbs in your lamps, get some green helium balloons and shamrock-shaped paper decorations on your house! 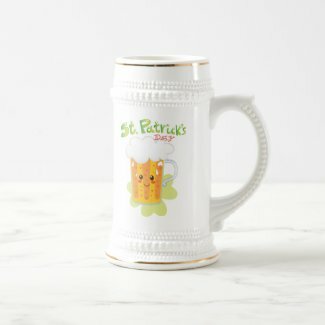 But, first, have a look at St.Patrick Day's invitations from Zazzle! 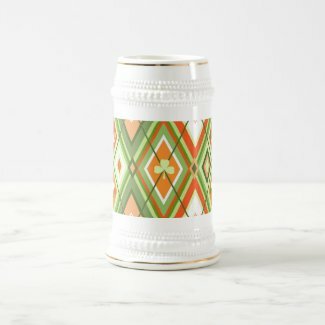 Here's 28 unique designs, from traditional to modern. Pick your favorite because it's about time to invite some people to join you on March 17th's celebration! St. Patrick's Day - as you may know by now - is a cultural and religious holiday named in honor of the patron saint of Ireland. St. Patrick used a shamrock as a metaphor for the Trinity (Father, Son, and Holy Spirit). 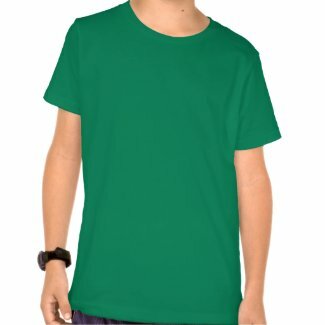 Then his parishioners began wearing shamrocks to his church services. 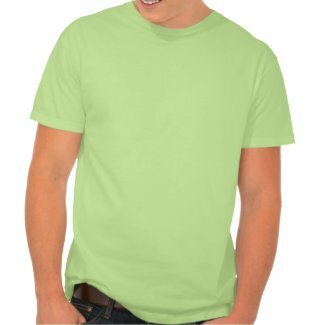 The wearing of the green on St. Patrick's Day represents spring, shamrocks and Ireland, a very green island. 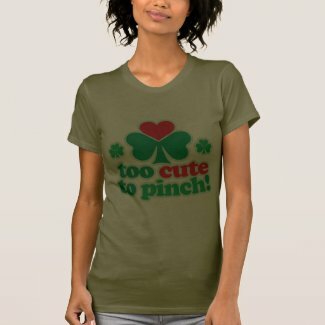 St. Patrick's Day t-shirts have been a common article of clothing to wear on this occasion! Here's my selection of Zazzle St.Patrick Day's tshirts! Have a look! 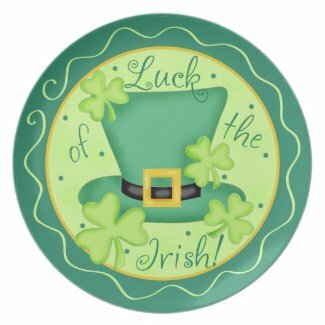 PLATES for the party table or for St. Patrick Day's home decoration? 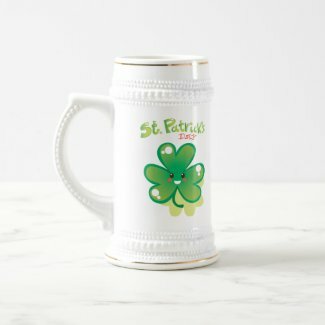 NAPKINS to make you St. Patrick Day table more festive!A cool way to decorate your St.Patrick Day's table is to get some decorated napkins from Zazzle! 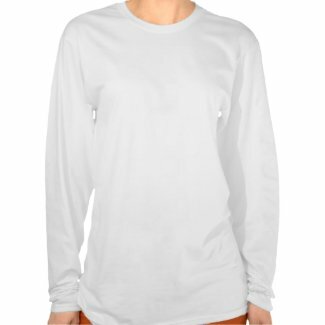 Have a look at my selection! 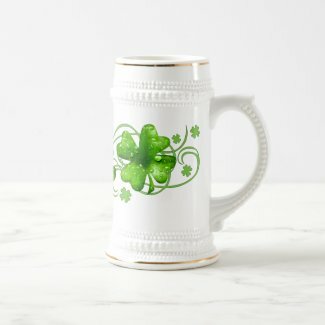 STEINS FOR ST. PATRICK DAY - INSTANT IRISH, JUST ADD BEER! 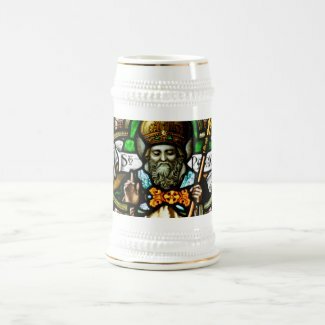 Ireland is famous for the whiskey, liquers and, of course, Guinness, a beer like no other! 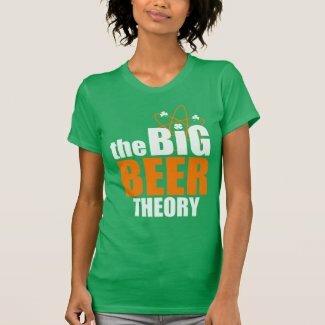 In America green beer seems to be as famous. A bit silly, ok, but life hasn't to be serious all the time! One drop of green food coloring into a beer mug, add beer. That's it! 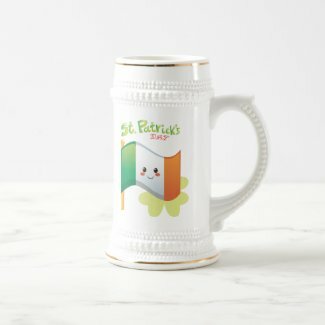 Here's a selection of fun and cute Zazzle steins you can buy to celebrate the day! 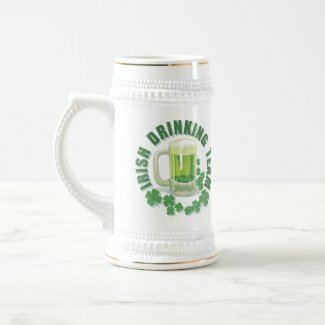 You must learn two Irish toasts to go with it:Érin go Bráugh (phonetic English approximation of the Irish Gaelic "Éirinn go brách", meaning, Free Ireland) and Sláinte (Cheers). LOOKING FOR A ST.PATRICK'S DAY GIFT? Check my 100 St. Patrick Day's gifts list!